I was a youngster during the height of the van craze. I was fascinated by the seemingly unlimited range of imagination involved with the custom vans. I recently picked this one up. It is a 75 B 200 short wheelbase. It has 92,000 original miles and still wears most of its original paint. Period correct slotted mags and orange shag carpeting sealed the deal . It has been sitting for quite a while, so the plan is to get it road worthy, then play with the interior. 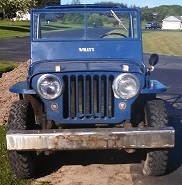 BTW, finding Willys parts is a breeze compared to trying to find parts for one of these things. 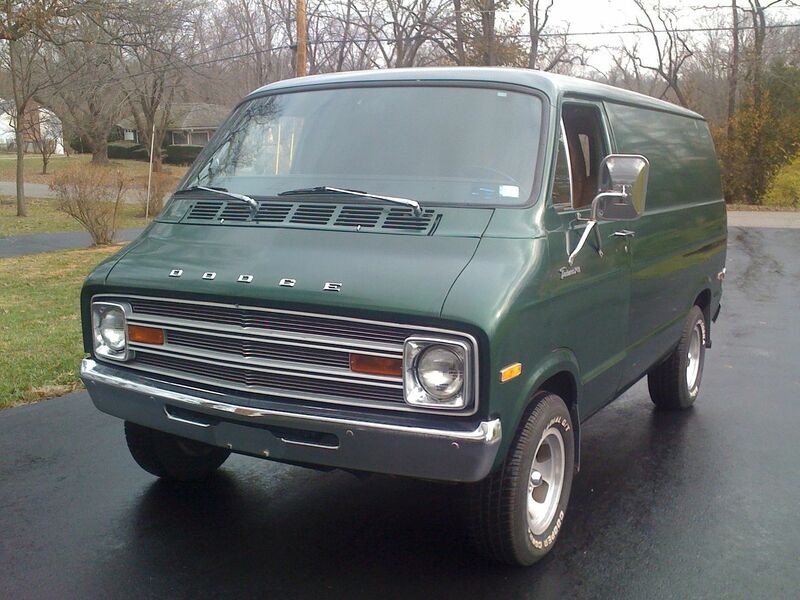 My dad had two or three like that over the years as a land surveyor.....he had the window vans though. The last one would have been about that year.....had the opportunity to be in the passenger seat when we rolled it (to my side) when a guy ran a red light and hit us.....ah yeah, good times. Thing looks straight.....is it a 318? Those vented skylights go or around $400. these days for a nice NOS one , at least the one I would like (the one that looks like a hood scoop). 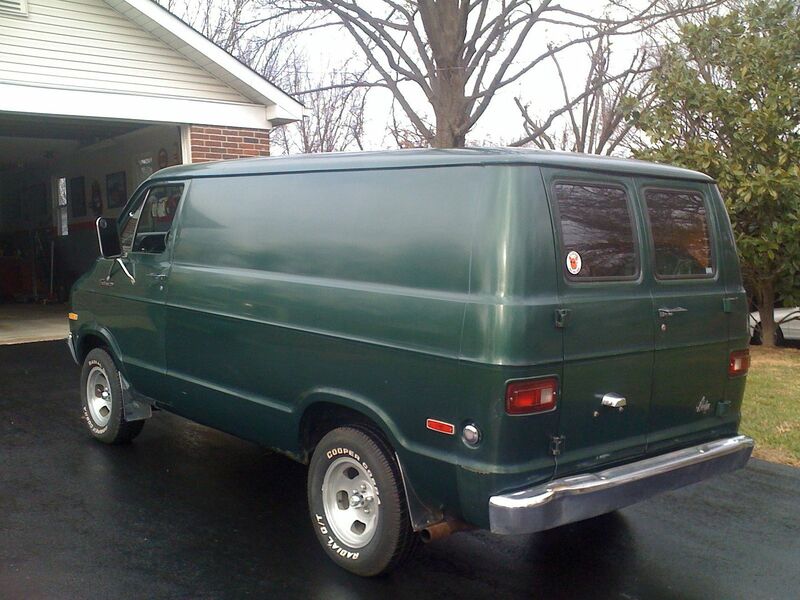 Parts for these old vans, especially the custom stuff are priced through the roof. Chad, it has a 360 2 bbl with a 727. Been my experience some of the 318s are thirstier than the 360s......had a 318 Ramcharger that LOVED gas. break out the 8 tracks! Back in the day it was a Shaggin' wagon. 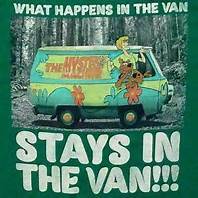 Now days it's call a snatcher van. lol Diggin' the rims though. 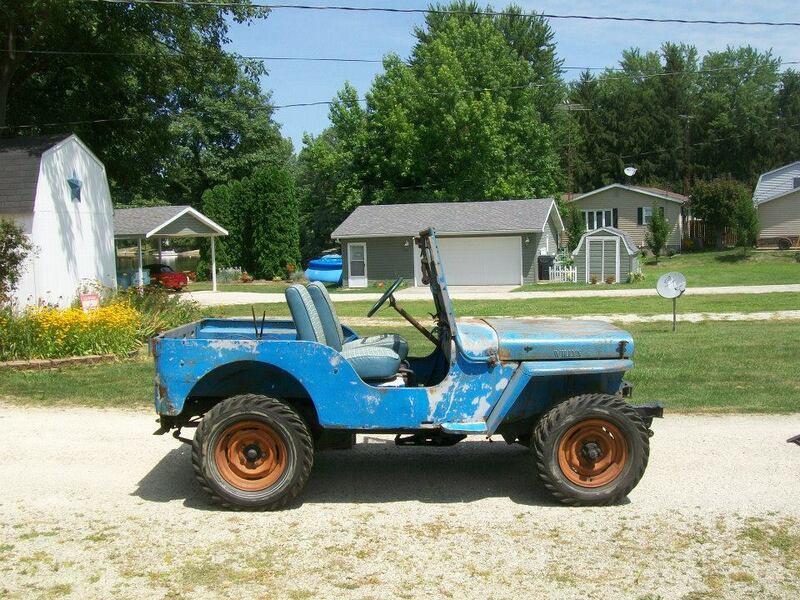 I do think it would be cool to show up at a reunion with this pulling my CJ Maybe I will airbrush a mural of a CJ sitting by a lake in the mountains... Groovy baby. Boy that does bring back some memories! If its not a Mopar muscle car, parts for anything else Pentestar seem to be hard to come by. The people we carpooled with to school's dad was an engineer at Chrysler. They had 5 kids and we had 4, so they always had a van. The last one they got before they moved to CA was a candy apple green metallic with aqua blue interior. I remember him saying when they unloaded it it had to be a mistake. The dealer said no and laughed...they still have it and its still hideous. That brings back memories...I had a 75 in High School that was gloss black with orange flames on the sides and orange thick shag carpet in the back. 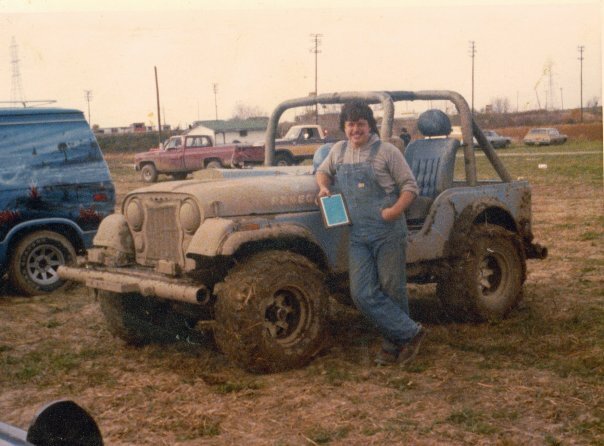 I'll have to dig up a picture and post it...My 318 was so cold blooded, I used to flood it all the time and get stranded until it all evaped. I could get the dog house off and be in the air cleaner in a matter of seconds. Put a 440 in it. There is a guy on one of the van forums that is doing that right now. That might be something for down the road. My EARLY years- late 70's. Beside's my friends loving the picture of me with a mullet and dark hair, the airbrushed mural on the van really dates the picture. That van screams "PARTY TIME". I've got a 'Purple Shaft' small block cam straight out of the old Direct Connection catalog, still in the box when decide to build the motor. It's a Street Hemi spec cam for a small block....always wanted to hear that thing!